As you know, our neighbour island is ideal for bikes, but it may be too hot in the summer to be riding a bike for more than 20 minutes. If you’re not up to sweating more than necessary and you don’t want to –or can’t– hire a motorbike or car, don’t worry, you can visit Formentera by bus. There’s a sightseeing bus that offers three different routes and take you to the main points of interest on the island. The fares depend on the tour you choose and they all leave from, and end at, Savina harbour, so you won’t miss the boat back. If you’d rather spend the day on the beach, take the yellow route, but if it’s your first time on Formentera, then we suggest you take the green route. 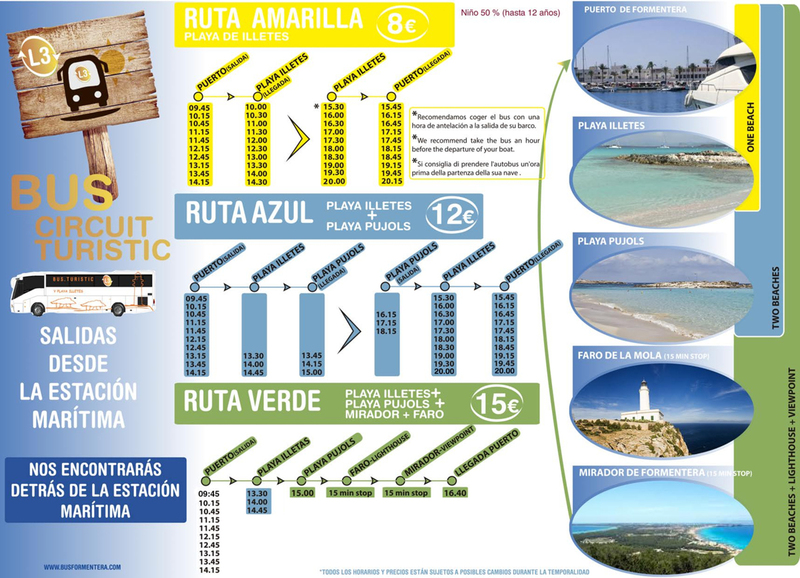 If none of the three routes offered by the sightseeing bus suit you, then simply jump onto one of Formentera’s regular public buses that also stop at the main points of interest on the island. Formentera’s public transport map has 6 lines and they’re all of interest to travellers, as most of them stop at Es Pujols and Sant Francesc. You may also want to visit Cala Saona and the small coves of Es Caló and Faro de la Mola. 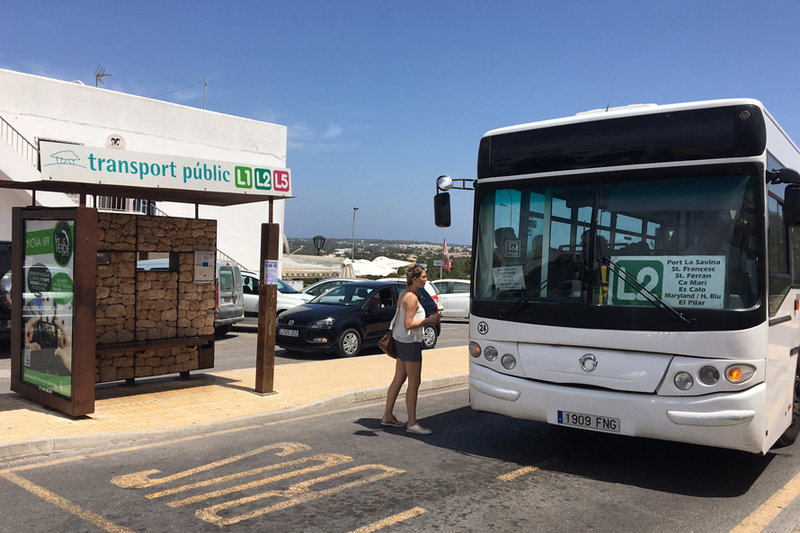 But if you’re planning to go to the Illetes beaches, you’ll have to take the line 1 bus and get off at the Salinas or at Es Pujols and then take the line 7 bus. Are you thinking about a trip to Formentera from Ibiza? Book your ticket to paradise with us and board one of our boats. We’ll be waiting for you at d’en Bossa and Figueretes beaches.